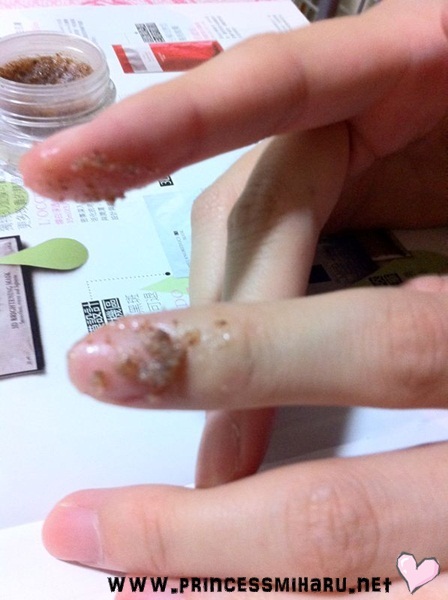 I remembered the last time I did my own manicure was......hmm.... can't recall. Haha. Already used to visit nail saloon for a more assured quality. LOL. But! 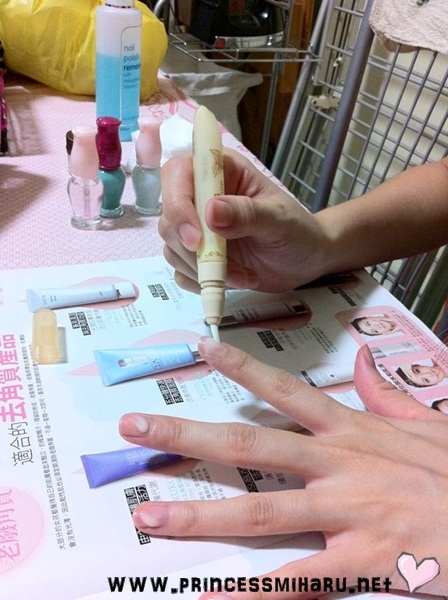 Due to super attractive promotion at Etude House, I decided to get the top coat, base coat, and also a nail polish. 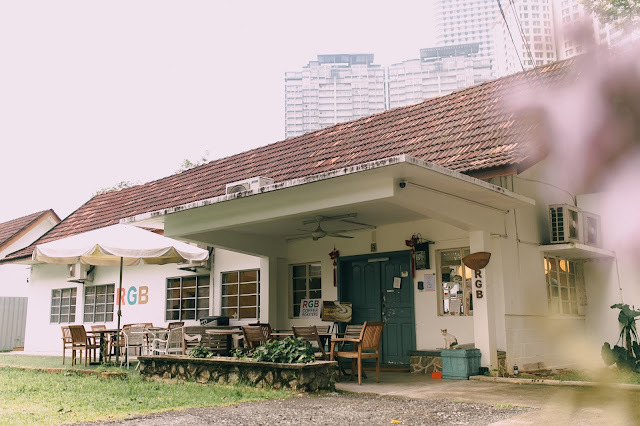 And so, the adventure beauty tour goes on! Cut my finger nails into short one. I kinda love short nails, looks very neat. 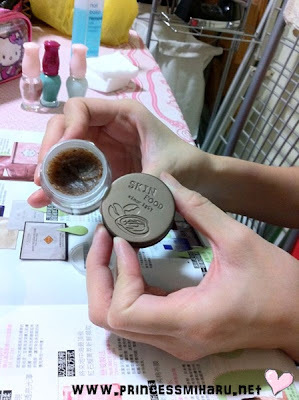 Use the Skin Food Coffee Almond Nail Scrub to scrub my nails. After scrub, rinse with clean water. 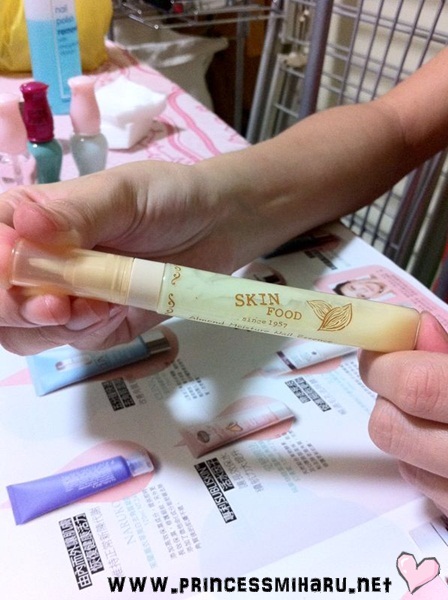 Now apply the Almond Moisture Nail Essence that provides vitamins for your nails. 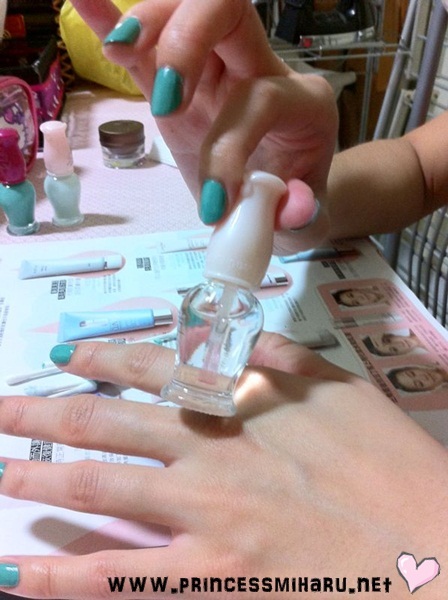 It looks blueish but is actually transparent when you put on your nails. 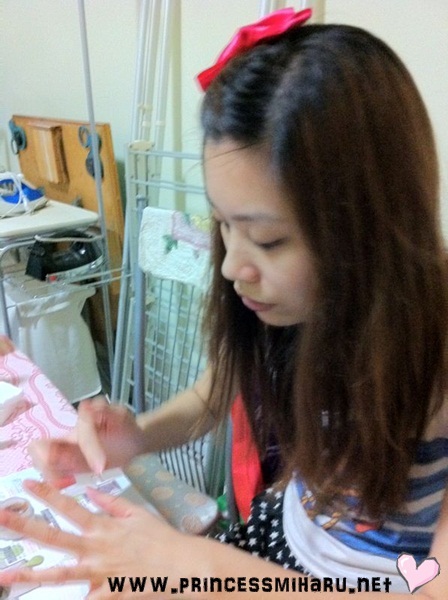 Baby decided to paint apply the nail color on my right hand. 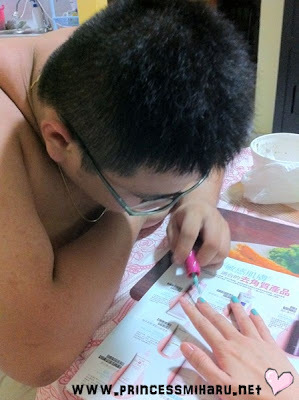 It's his first time playing with nail polish. LOL. 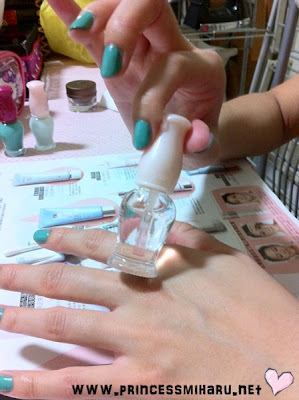 After applied two layers of nail polish, start cleaning the edge of nails with a cotton bud coated with nail polish remover. 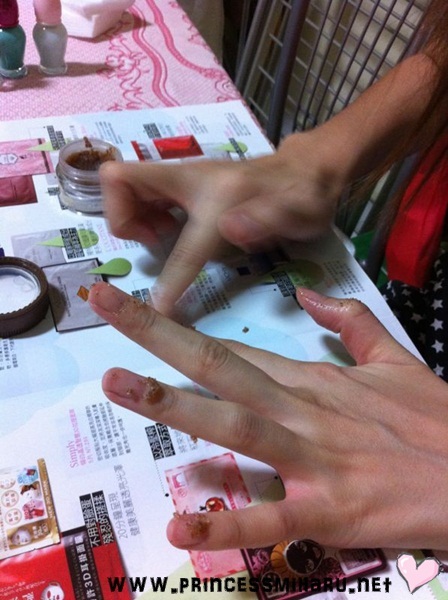 Last step, apply the top coat from Etude House.